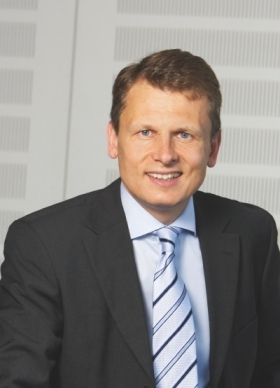 Conti safety boss Ralf Cramer sees great potential for 24 GHz adaptive cruise control. FRANKFURT -- Continental AG is working to make its life-saving systems affordable for all car classes, a top executive said. “Our goal is to bring key safety features into the affordable car segments and that means cars that cost 10,000 euros (about $14,560) and less,” Ralf Cramer, the head of the German supplier's chassis and safety division, said at a recent media event held here. Legislation in Europe and the United States is set to help Continental reach that goal. Electronic stability control, ESC, which prevents skidding and rollovers, will become mandatory in all new-vehicle types sold in Europe starting November 1, 2011. A similar requirement starts in the United States on September 1, 2011. Despite a huge increase in volume and a likely tenfold reduction in the cost of the part, Cramer does not foresee ESC becoming a commodity. “That won't happen to ESC because once it is in a car you can keep adding functionality to it. Every customer has a different DNA for the ESC,” he said. To get ready for the increase in demand, Continental made its new-generation ESC a third smaller and lighter. Without being specific, the supplier said it also reduce the cost of the part. Another system that Cramer says has great potential to have a big uptake in mass-market cars is a more affordable version of adaptive cruise control. He says a 24-Gigahertz version of ACC, which automatically slows down the car if the vehicle in front starts to reduce its speed, is half the cost of a 77 GHz system and offers nearly the same functionality. Cramer declined to give a specific price. However, current 77 GHz ACC systems cost car buyers $2,000 to $3,000 and are found in high-end luxury cars such as the Mercedes-Benz S class and BMW 7 series. The technological difference between the two systems is that the less-expensive ACC works at speeds of up to 140kph to 150kph (87 to 93 mph) while 77 GHz systems function at speeds up to 200kph (124 mph). Cramer says Continental will continue to develop both systems. TRW Automotive Inc. also is working on a 24 GHz system. Meanwhile, at the start of 2009 Robert Bosch GmbH began serial production of a lower-cost version of its 77 GHz long-range radar sensor, which is used in its version of ACC. Delphi is also a competitor in this field. Continental's chassis and safety unit had 2008 sales of 5.13 billion euros (about $7.48 billion) and employs 26,680 people. Continental as a whole had 2008 sales of about 24.23 billion euros and employs almost 140,000 people.